Driver assistance technologies aim to make the vehicle capable of perceiving its surroundings, interpret them, identify critical situations, and assist the driver in performing driving manoeuvres. The object is, at best, to prevent accidents completely and, at worst, to minimise the consequences of an accident for those concerned. In this interview, Matthew Beecham talked with Mike Thoeny about how certain ADAS technologies are evolving and Delphi’s latest innovations. Mike is global engineering director, electronic controls, Delphi Electronics & Safety. 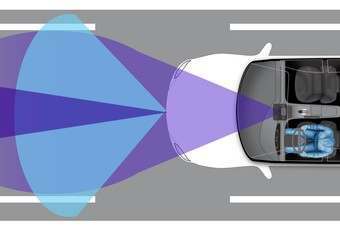 just-auto: Radar-based safety technologies such as advanced collision warning and blind-spot detection are becoming common place as optional equipment on new vehicles. While the possibilities to “assist the driver” seem endless, is there a risk of information overload? Mike Thoeny: Delphi’s goal is to enhance automotive safety with innovative technology. That means providing products that help drivers keep their eyes on the road, hands on the wheel and minds on driving. The purpose of a collision warning system is to provide drivers with information to keep them and their vehicles out of potentially dangerous situations. Alerts must be clear and quickly understood, so a properly designed driver interface is critical. One vehicle manufacturer using our technology provides the driver alert for imminent forward collisions using a light bar on the dashboard. It is reflected off the windshield in the driver's forward field of view in conjunction with an audible alert, and is very intuitive. Delphi works closely across our product segments to offer system solutions to the driver distraction issue, keeping in mind the growing number of nomadic devices being brought into the car, such as mobile phones, portable music devices and personal navigation systems. When combined with our radar and vision sensing systems, our connectivity and display systems can provide situationally tailored driver alerts depending on the external traffic situation and driver workload. External devices linked to the vehicle via Bluetooth or near-field communication protocols may only be accessible by the driver through carefully designed user interfaces based on solid human factors research. We're excited to see the merger of our safe and connected technologies on future vehicles. I guess that there is a fine line between helping the driver steer clear from trouble and doing too much? Different vehicle manufacturers take different positions on what is "too much." It all comes down to providing systems with intuitive alerts designed to help the driver to stay out of trouble. Although all of us believe we are good drivers, the data clearly shows that drivers are to blame for more than 90% of accidents. So, the most effective active safety systems are those that can provide an autonomous response if the driver cannot avoid an accident. Delphi has been in production with automatic collision imminent braking (CIB) systems since 2007. An industry first, our latest system was launched in 2010 and uses the combination of data from the vision and radar sensors to apply full braking force when collisions with vehicles or pedestrians are unavoidable. In order to perform these actions without false alarms, sensing systems must provide highly accurate threat assessments of the outside world. Delphi places considerable emphasis on providing high-performing systems, at a cost that makes them affordable to all classes of vehicles. Now that the National Highway Traffic Safety Administration (NHTSA) has made collision warning and lane departure alert part of the New Car Assessment Programme, I guess that the market for such technology in North America will grow? Collision and lane departure warning systems have recently become part of NHTSA's New Car Assessment Programme, but to date, a star rating has not been assigned to them. The market for these products is growing, and in part, that is due to NHTSA's addition of these features to the NCAP, but there are other market forces that also play an important role in their popularity. Insurance companies in multiple European countries offer price reductions for vehicles with these features, and we expect insurance companies in the United States to follow suit, although more conservatively. Additionally, consumer awareness of these collision mitigation features is increasing. We are seeing more advertising from multiple automakers, and buyers are developing an expectation that advanced safety features be "built in" to their vehicles, not just available as option content. In the future, we expect governments to expand their NCAP programmes to include collision imminent braking, eventually considering content mandates such as NHTSA's pending ruling on a 2015 requirement for ‘backover’ prevention technology in the US. Additional evidence of this trend is apparent in Europe, where heavy trucks above a certain class will require advanced emergency braking systems and lane departure warning, phasing in during 2013. To what extent does driver acceptance of radar safety systems vary from one geographical market to the next? Clearly, Western Europe has been an early adopter of collision avoidance technology. The options are available on numerous platforms and take rates are continuing to increase. By comparison, the emerging market in China is just starting to demand these new features. Delphi is launching its first driver assistance / collision mitigation system in China later this year, and we have additional production programmes with several OEMs that will follow. These programmes are a good sign that consumers in China are also accepting these features. 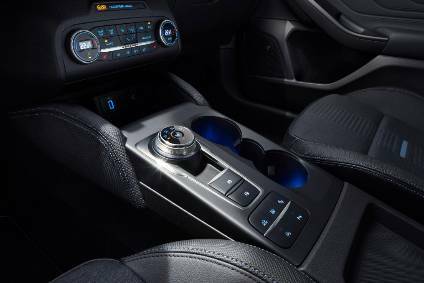 For some time, advanced driver assistance systems were the sole preserve of the luxury vehicle class yet nowadays features such as adaptive cruise control and lane departure warning systems are being offered on the Ford Focus. How do you see the roll out of such ADAS technologies across all vehicles in Europe? As advanced technology like Delphi's ESR has become available, we have seen compelling evidence of these technologies expanding beyond the luxury class. We believe this trend will continue because of consumer demand for safety products as well as the affordability of the new technologies. 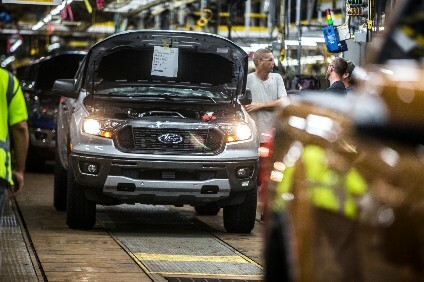 For example, Ford has taken a strong position to put this technology into European vehicles such as the Galaxy, Mondeo, and S-Max using Delphi’s electronically scanning radar. In the USA, they have taken a similar approach with the Taurus. To what extent has the trend toward global platforms enabled new technologies to be introduced in low-tech markets? We are just starting to see the impact in the driver assistance system product space. The first few products are launching in emerging markets such as China, and the benefit is clear: features can be added to global platform vehicles quickly by leveraging re-use strategies. However, in doing so, significant differences in typical roadway and overall driving conditions must be considered. Delphi has invested heavily in collecting road and traffic data in all of our global markets to make sure our sensors and algorithms lead to robust product feature operation in the vehicle. As we understand it, traffic sign recognition is a relatively new function for camera platforms. While this functionality starts with speed monitoring, could it be developed to embrace other derivatives? Traffic Sign Recognition (TSR) has been a part of many customer quotes for the past two years, especially for European platforms. Delphi envisions this feature being implemented as a pure vision-based system requiring a direct view of the traffic sign and also implemented linked with navigation systems to add to the reliability of speed indication when traffic conditions block visibility to road signs. The same vision technology can be used to recognise the dynamic speed limit displays used in traffic management systems in some regions, as well as to recognise sign information beyond speed limits. With the improvement of ADAS, I guess map data and positioning information of navigation systems require more accurate and extensive location information? e.g. detailed road shape such as curvature, gradient, number of lanes, crossing, lamp, and so on. Correct. Highly accurate GPS and map data can add to the effectiveness of driver assistance systems, when combined with external sensor data. For example, detailed map and GPS data can be used to provide curve entry speed warnings, augmented by vision data. Radar and vision sensors that provide driver alerts for cross-traffic collisions can be enhanced with accurate intersection map data. Could you give us an idea of the type of technical advances you are making in the area of navigation-based ADAS? i.e. maybe in terms of the fusion technology of radar and vision sensors which complements the accuracy of ADAS. A key advancement in this area is merging of sensing, GPS navigation, and communication technologies. Vehicle to vehicle (V2V) and vehicle to infrastructure (V2I) communication technologies allow the sharing of vehicle location, heading, speed, traffic density, road hazard, and emergency brake event data to surrounding vehicles and/or centralised traffic management systems. When combined with the fusion of sensor data from around the vehicle and GPS navigation data, these technologies extend the range of situational awareness beyond the range of sensors on any individual vehicle. This approach is being tested globally on our roads today in joint projects supported by governments, vehicle manufacturers and suppliers. Delphi believes these technologies can expand the cocoon of safety around the vehicle from hundreds of meters to hundreds of kilometres. As the number of vehicles on the road equipped with these technologies grows, we believe there is great potential to realise a significant reduction in vehicle accidents and fatalities.